On February 5th, Marine Corp Air Station Cherry Point will be responsible for civilian and military air traffic control over northeastern North Carolina. Jared Brumbaugh has more. Currently, First Flight Airstrip in Kill Devil Hills, Dare County Regional Airport in Manteo, Plymouth Airport in Plymouth, and Warren Field Airport in Beaufort County receive air traffic control services from the FAA’s Washington Center, in Leesburg, Virginia. 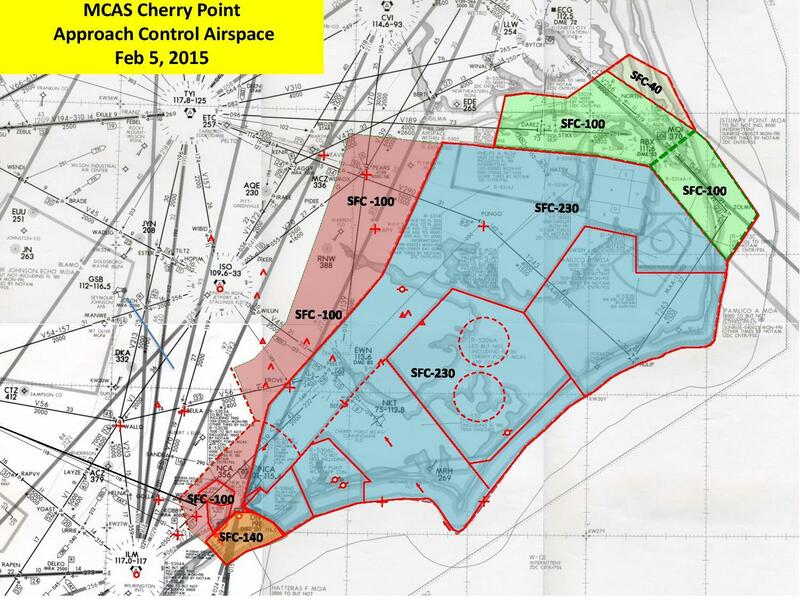 Marine Corps Installations East Regional Air Space Coordinator David Plummer says the transfer of airspace will give the military greater flexibility when training. Plummer says air traffic controllers at Cherry Point will relay real time restricted area and route information locally, ensuring the safety of both civilian and military aircraft. I’m Jared Brumbaugh.